The port of Tilbury has opened the tender race for a new port terminal based to the east of the current port in Essex. 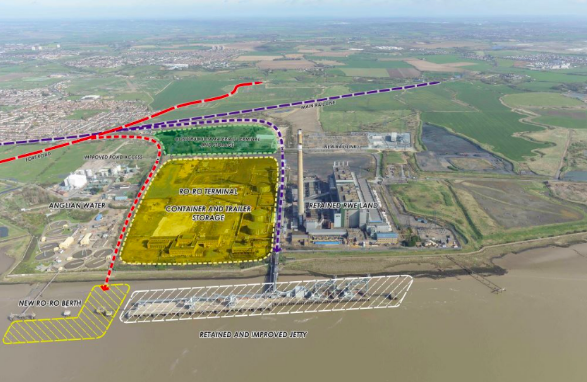 This proposed port will be constructed on the land of the old Tilbury Power Station. With this, 200 new construction jobs are estimated to be created – this is great news for those looking for work in the construction industry in this area. The tender has been published at £25m for marine and £65m for land works. The plans for the site will include the development of a RoRo terminal and an aggregates terminal using specialist construction materials. There will also be facilities to produce asphalt and concrete products. The project has been designed by the Peterborough office of consultant Atkins and will require an infrastructure corridor to accommodate both road and rail links to the existing networks. As well as this, an existing jetty located on the marine side will be extended to accommodate three or more vessels at a time. Looking for a job in the construction industry? Visit our jobs page for current roles. For more information on Adore visit our latest news page.